Disney’s PhotoPass gives guests the opportunity to have great high-resolution photos taken by Disney Photographers who are using state-of-the-art digital equipment, taking photos in some of the most picturesque locations. The best part? The whole family can be included in these professional shots, since Disney is taking the pictures! It’s a great way to get every member of your family in a few photos, even the typical cameraperson, and will allow guests the opportunity to create wonderful family memories. Go ahead – give it a try! Once you return home, your photos can then be accessed, shared, as well as ordered online. Our PhotoPass page includes information for Walt Disney World resorts. 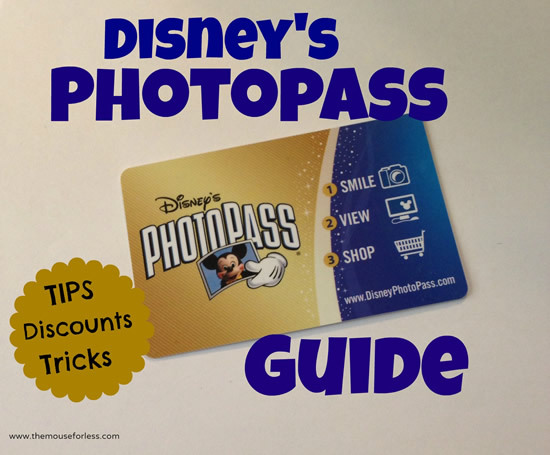 What services does Disney’s Photopass offer? There are two main services that Disney’s PhotoPass offers to guests. They include Disney’s PhotoPass and Disney’s Memory Maker . Disney’s PhotoPass: Guests can choose to get their photos taken by Disney PhotoPass photographers in the parks and buy those that they want when they arrive home. This can be done either as individual photo downloads or all together for a single price. Purchasing photos after the trip can be more expensive than pre-paying. Memory Maker: Pre-pay for up to 30 days of unlimited photos ahead of time. With this service, guests will be able to get not only all of their Photopass photos, but they’ll also get any attraction and dining photos all available to download digitally. Memory Maker can be purchased in advance of your trip at a savings, either separately OR as part of a Disney Vacation Package. Memory Maker is included with an Annual Pass. The first time a photograph is taken, you’ll either be given a PhotoPass card with a unique 16-digit barcode or your MagicBand will be scanned. Disney Photopass photographers will scan the bar code or band each time they take a photo. Keep your Disney PhotoPass card safe and accessible at all times in the parks. Present your PhotoPass card to the Disney Photographer each time a photo is taken. First, you’ll need to locate a PhotoPass Photographer. They are pretty easy to spot, as they will be carrying professional camera equipment and usually can be found wearing a tan vest with two large front pockets (on Main Street look for blue and white pinstripe shirts). Guests will be able to find them throughout Walt Disney World Resort’s four theme parks, water parks, Disney Springs, at the Bibbidi Bobbidi Boutique, as well as a few other locations. Guests will have a couple of options available to them when they get their photos taken. One option will be that guests can use their MagicBand. The Disney PhotoPass photographer will simply scan the Mickey logo on your band and your photos will be linked to your MyDisneyExperience account. The other option is that guests will be given a PhotoPass card. This plastic card is free and will have a 16 digit barcode. The PhotoPass photographer will scan that and then hand it to you. Any time you get your photo taken by a Disney’s PhotoPass photographer, you will need to get either the MagicBand or the PhotoPass card scanned. With Disney’s PhotoPass, you are under no financial obligation to purchase the photos the photographers take. Even if you don’t purchase any photos after your vacation, you can still share them online with friends and family for up to 30 days. If you receive a PhotoPass card, make sure to keep the card safe and accessible at all times during your stay because you will need to present your card to the Disney Photographer each time a photo is taken. Write down your 16-digit number and keep it safe in case your PhotoPass card is lost. Using your cell phone to text or email your 16-digit number to yourself is another great way to keep track of it, or take a photo of it with your camera. If your PhotoPass card is misplaced, just ask any Disney Photographer for a new card. Multiple cards can be combined later online. As long as you have the number, you can still access the photos on the missing card on Disney’s PhotoPass site. For convenience and easy access, store your PhotoPass card in a clear plastic sleeve attached to a lanyard around your neck. No need to remove the card from the sleeve each time you would like to use it; it can be scanned right through the plastic. If you are traveling in a group, you can get the same photo added to more than one card and after your trip each member of the group can set up his or her own account. Get as many photos taken as you want! There’s no limit to the number of photos you can have. If your party is likely to split-up, ask for a card for each family member; multiple cards can be combined online later into one account. Ask for multiple poses. It’s free and Disney photographers are glad to oblige. You can also ask the Disney PhotoPass photographer to take similar poses with your own camera. Disney will often superimpose characters into one of your PhotoPass photos. These characters can vary by location. Ask what characters might be available at each location. Did you know you can ask Disney’s PhotoPass Photographers to take specific shots for you? If you want a “silly” photo, for example, just let them know – they may even have some suggestions for you! Feel free to ask the photographers to take a photo using your camera. Most often they will be happy to oblige, and you will have a copy of a great picture with your whole party! Disney PhotoPass Service is famous for taking a few “magical” photos. Magic Shots are a special service of Disney PhotoPass Service that adds a special touch of magic to Guests’ photos by using props and include other special elements such as Disney characters or other surprises. These unique photos can be taken at several different locations. If a Photopass Photographer asks you to stand in a strange pose or look at an area where there is nothing to look at, you will likely have a Magic Shot to check out on MyDisneyExperience later. Guests can also receive animated magic shots. These pictures come alive with animation when viewed on the MyDisneyExperience app and can be shared online. There are a few locations for these animated pictures. Be on the lookout for other animated magic shots for special events or seasons. A shot featuring Mickey and Minnie is available at Hollywood Boulevard near Celebrity 5 & 10 at Disney’s Hollywood Studios or near the Partners Statue at Magic Kingdom Park. When you meet Cinderella before dining at Cinderella’s Royal Table or visit her at Princess Fairy Tale Hall in Magic Kingdom Park, you’ll be welcomed with an Animated Magic Shot featuring Jaq and Gus. Guests with Memory Maker will be able to enjoy animated shots of their attraction photos on several attractions including: Buzz Lightyear Space Ranger Spin, Seven Dwarfs Mine Train, and Tower of Terror. Disney PhotoPass Service has opened the doors to an online experience for Walt Disney World Resort guests at MyDisneyPhotoPass.com. This web site will work in conjunction with MyMagic+ and Magicbands. Via the website, guests will be able to organize photos in a timeline that allows them to relive vacation memories as they happened. The website also offers guests the chance to edit their photos, changing them from color to black and white or sepia, as well as adding unique options to include on the photographs such as Disney borders, stickers featuring Character signatures and Disney icons. If it is your first time visiting MyDisneyPhotoPass.com, you will need to register for an account in order to be able to access your photos. If you already have a My Disney Experience account, you will simply need to enter your username and password. Keep in mind that if you are attempting to access photos from Disneyland Resort, ESPN Wide World of Sports Complex (Gameday Photos) and Aulani, A Disney Resort & Spa, you will need to do so via a separate website links at MyDisneyPhotoPass.com. If you have had a private session with Disney’s Fine Art Photography, those photos will be delivered separately. A new change is that guests will no longer be able to order prints of photos uploaded from their own cameras, nor will they be able to have them added to a CD. Personal photos can still be uploaded for use in photo products. You will also be able to share photos with family and friends online. You can even purchase high-quality 5×7, 8×10 or wallet-sized prints; photo greeting cards; Photo Books, and other photo products for an additional cost. To view the expiration date of a photo in your album, click to enlarge the photo. Beneath the enlarged photo, the expiration date will appear. You will receive a notification email prior to the removal of the images. Please ensure your email address is valid and that if you use a Spam filter, you check your Spam folder for this message. You can also add DisneyPhotoPass@ecommserv.com to your accepted email senders list to help ensure these important emails reaches you. Disney reserves the right to not upload photos which are deemed to be of poor quality and/or contain content that might be deemed to be offensive. No complimentary extension will be granted on the 30 days you have to view, share, and purchase photos. Disney offers an extension on your PhotoPass time for a price. A photo storage extension can be purchased for $19.95 for 15 days. If you need more time to decided which photos to purchase, watch the PhotoPass “Special Offer” area as sometimes discounts on storage extension are offered. Once you access your photos you can view and share them, as well as order prints of your photos and create Disney keepsake products before they are deleted. Be aware that photos are deleted at midnight on the day of expiration. This means the day before your expiration date is the last full day to access your photos. The PhotoPass site has e-cards you can make and send, personalized from photos in your account and music. Plus, you can share your PhotoPass photos three ways: via email, post to a blog or even publish directly to your Facebook news feed. 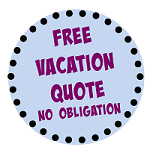 Friends and family are only able to view your vacation photo albums and order prints. They are not able to make edits to your photos. Click here to learn more about sharing photos from your account. If you have Internet access (all Walt Disney World resorts and parks provide free WiFi access to guests) and would like to share your photos with family and friends while on vacation, you can do so by registering your PhotoPass card(s) right away. This can be an easy and simple way to involve everyone in your vacation via PhotoPass’ free photo sharing options, email, ecards or Facebook. Just remember, once you log-in after the first photo has been taken, you will only have 30 days from that point to make enhancements and purchases. If you have more than one Disney’s PhotoPass ID when you register, simply click the “Add another ID” under your account information to combine cards onto a single account. Disney’s PhotoPass website keeps track of all of the PhotoPass numbers (cards) that you enter indefinitely. You can re-use a PhotoPass card from a previous vacation, but be sure you can still access the card before leaving home. You can find your card numbers under your account information. And, remember that you have 30 days to log-in once you start adding new photos to claim them. If you lose your PhotoPass card and don’t have the number for the card, Disney may still be able to help you find your photos. Just fill out a Lost PhotoPass Form online with as much info as you can remember. Disney can only find photos taken within the last 30 days. If you discover you’ve lost your card in the park, you can also stop by one of the photo centers for assistance. When you have your Disney’s PhotoPass photo taken at select Character Meet and Greet locations in the Walt Disney World theme parks, Disney will magically add a selection of incredible stock photos of your favorite Characters from your encounter. These stock photos are all available for you to view, share, or use in any of PhotoPass online photo products. You can use them to spice up your Disney’s Photo Book, Calendars, Greeting Cards and best of all, when you purchase Disney’s PhotoCD they are also included as high-resolution files on the disc for your personal use at home, for printing or social media. Here is a list of some common Photopass locations. Check the MyDisneyExperience app under the Photopass tab to find specific locations on the day of your visit to the parks. Mexico Meet and Greet – meet Donald dressed ready for Fiesta! Hollywood Blvd Meet and Greet – Meet with popular Disney characters like Donald, Goofy, and Chip n’ Dale. Disney PhotoPass photograhers are available at Disney’s Typhoon Lagoon and Disney’s Blizzard Beach water parks on a seasonal basis, and may not be available during the late fall/winter/early spring months. Look for cool miniature PhotoPass cards that you can wear on your wrist. Bibbidi Bobbidi Boutique – get photographs before and after the magical transformation. Select Dining Locations – If you dine at any of the following locations AND purchase the photos offered tableside, those photos can be added to your Disney’s PhotoPass account. If you have purchased Memory Maker these photos will be included. Deluxe resort lobbies next to the Christmas trees. Christmas trees located outside of the park entrances of Animal Kingdom & Disney’s Hollywood Studios and inside the park at Magic Kingdom and Epcot. Click here to view PhotoPass location maps for Walt Disney World. Use the park menu to change the map view (bottom of page). In addition, PhotoPass locations are marked on all theme park maps. Just look for the PhotoPass icon. At Walt Disney World, Disney Visa offers cardholders a free private meet & greet daily between 1:30 and 7:00 pm at EPCOT’s Imagination pavilion and at Star Wars Launch Bay in Hollywood Studios. In addition, cardholders are entitled to a free 5 x 7 print taken by a Disney PhotoPass photographer. Those with Disney Visas in hand can get one free print each day they visit. During holiday parties in the Magic Kingdom, such as Mickey’s Very Merry Christmas Party, make sure to get a PhotoPass card if you don’t have one with you. You can add your party PhotoPass card to your other PhotoPass cards online when you get home. Don’t overlook using Disney PhotoPass photographers at Disney water parks. Photographers are position in some unique locations to get shots you would not normally get, like at the bottom of select water slides or in the wave pools. The small-sized PhotoPass card you get at Disney’s water parks come attached to a stretch bracelet you can slip round your wrist. These cards are so cool and handy, you may want to consider using it as your main once you get one. They work in the theme parks as well! The time of day can make for completely different photos. Trying capturing some gorgeous nighttime versions of the photos you took earlier in the day. For some fun or unique photo opportunities that don’t involve a PhotoPass photographer, try these ideas: 1) . Families with children can locate the Cigar Shop Indian on Main Street USA in the Magic Kingdom. Have the kids take an annual photo next to him. The Indian makes a unique pictorial measuring stick to see your children’s growth! 2) Would you love to have some photos of Main Street USA and Cinderella’s Castle without all of the people? You can by making early dining reservations for a restaurant in the Magic Kingdom. You can make them up to an hour before the park opens and enter an empty Magic Kingdom in the morning! Character meal photo packages you have purchased can be added to your PhotoPass card if you ask. If you would like to review the photos on your PhotoPass card while outside of the Walt Disney World theme parks, you can view them at the following locations: Team Mickey at Disney Springs, M. Mouse Mercantile at Disney’s Grand Floridian Resort & Spa, Trader Jack’s at Disney’s Polynesian Resort, Zawadi at Disney’s Animal Kingdom Lodge or Beach Club Marketplace at Disney’s Yacht & Beach Club Resort. If you find photos missing they may be able to help you. In the parks, check at the viewing stations listed for each park locations above. Just remember, you only have 45 days to access your photos and make purchases. For more info on Disney camera services see our camera services section. When taking your own photos at the theme parks, look for the Picture Spot signs that mark great backdrops for your photos. Look for the camera icon on your guide map to locate them. There is a Disney Memories HD App for Apple and other mobile devices. The free app allows users to add a Disney touch to their personal photos, whether it’s through posing (virtually) with a Disney character, or choosing from a selection of more than 100 “decoration items” to add to their photos, including photo stickers, Disney Parks and attraction-themed filters, frames and more. You can also use the app to view a “Photo of the Day,” as well as set character audio and video alarms. Disney often offers special promotions on individual items. Just click the “Special Offer” tab on any online Disney PhotoPass page to see what is currently being offered. PhotoPrints are usually discounted 20-25%. Follow PhotoPass on Facebook and Twitter. 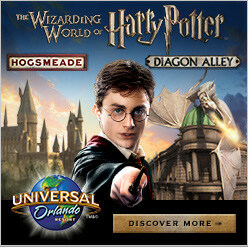 Occasionally special deals are offered just for fans! DisneyPhotoPass.com accepts Visa, MasterCard, and American Express credit cards for payment. You can also make purchases with the Disney Gift Card and the Disney Rewards Card. For those taking a Disney cruise, PhotoPass offers a Disney Cruise Line photo book cover and set of 20 ship-themed pages. To create the book, you must upload your own photos or photos purchased on the ship. A Disney PhotoPass Studio can be found the Marketplace at Disney Springs. Here, guests choose from a standard background or virtual background of Disney scenes and take a photo. This is a great spot for a family photos. The Studio also has view stations where guests can easily preview, purchase and print all of the vacation memories linked to their Disney account. Reservations are not needed to visit the Disney PhotoPass Studio. Photos taken at this location will be linked to your My Disney Experience account. Studio photos are also included as part of an active Memory Maker entitlement. Walt Disney World has a great way to keep up with all your Disney photos – the Memory Maker package. This package allows guests to collect, view, download, and share all of their Walt Disney World vacation photos that are linked to My Disney Experience. This system contains the exact same access to photographs that was once available with Disney’s PhotoPass+. The main difference is that this system is 100% digital, making it easy to use right from your smartphone. Guests will be able to enjoy unlimited downloads of digital photos that were taken during their stay at the Walt Disney World Resort. No longer will you have to purchase each photo individually! You can relive all your memories, as well as have the ability to share them with family and friends. Here is a video that explains in detail what Memory Maker offers and you can also check our Memory Maker page for more info. You may contact the Disney PhotoPass support team by emailing disneyphotopass_support@disneyworld.com, via online contact form or by calling 407-560-4300 between 9 a.m. and 1 p.m. ET. For lost photos, use the Lost Photos form. You can’t fill up a card! The photos aren’t stored on the card itself, so there is no space issue to worry about. The number on your card works more or less as a file number – when you enter it online, all of the pictures associated with that number will show up. It doesn’t matter if you have 5 cards with 25 photos each or 1 card with 400 photos. If you leave your card in the room or one person wanders off with it, you can just get another. You can have as many cards as you need or want. If you’re going to one of the seasonal Magic Kingdom parties, they often have special PhotPass cards that make great keepsakes. I get those whether I need them or not. The fun part on line is adding the embellishments. You can add Mickey’s signature that says something like “Your Pal Mickey” or Minnie’s that says “Hugs and Kisses”. All of the characters have special signatures. With the flower power at Epcot there are characters you can add to the lower right of the picture. The dated ones have the characters coming out of the numbers. It is a lot of fun!